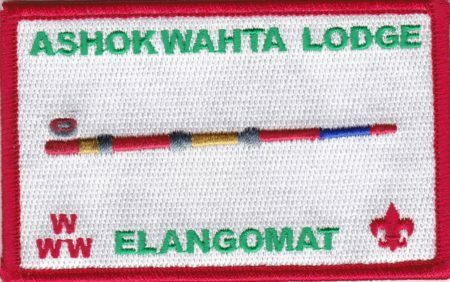 Ashokwahta Lodge #339 issued an Elangomat patch, not sure when it was first issued, but it has just come to my attention. 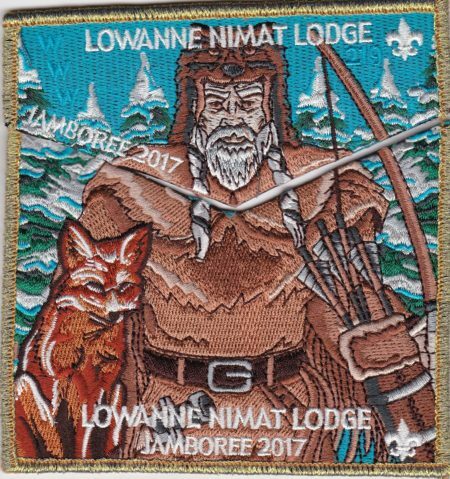 In March 12017, we were posting about NYS OA issues for the 2017 National Jamboree, here is one from Lowanne Nimat Lodge #219 2017 Jamboree Set GMY Border their S31 X13. 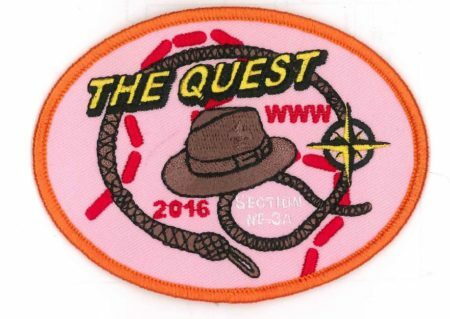 There were reportedly only 50 of these Gold Mylar sets made. 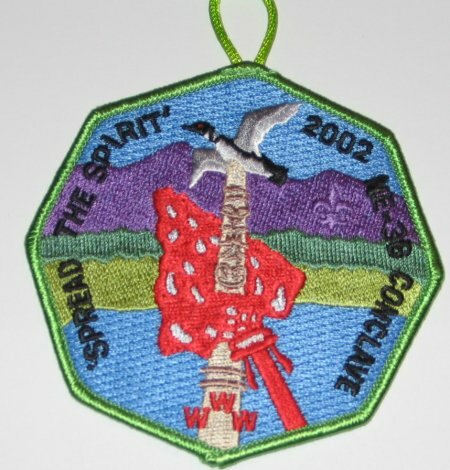 Another image from Mia Hubbert, this one from the Section NE-3B 2002 Conclave. 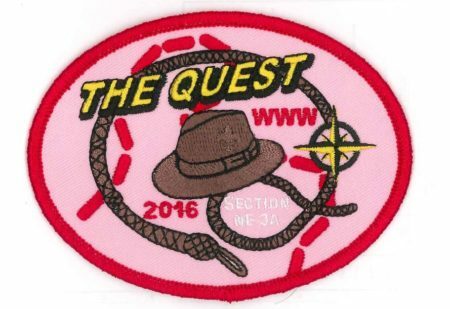 This one seems to be neither fish nor fowl. 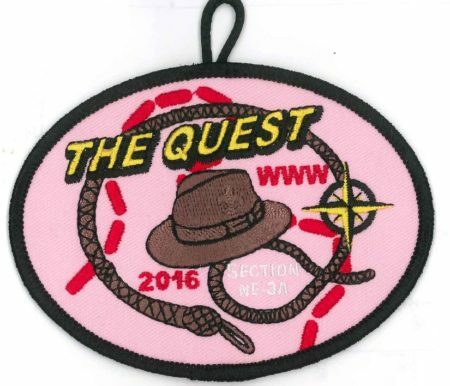 Is from an era later than when most hat pins were issued, but the design elements and shape are not usual for a participant pin. 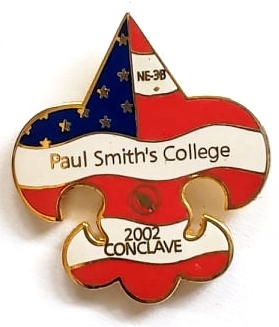 Anyone know the story behind the pin?